Hey guys! 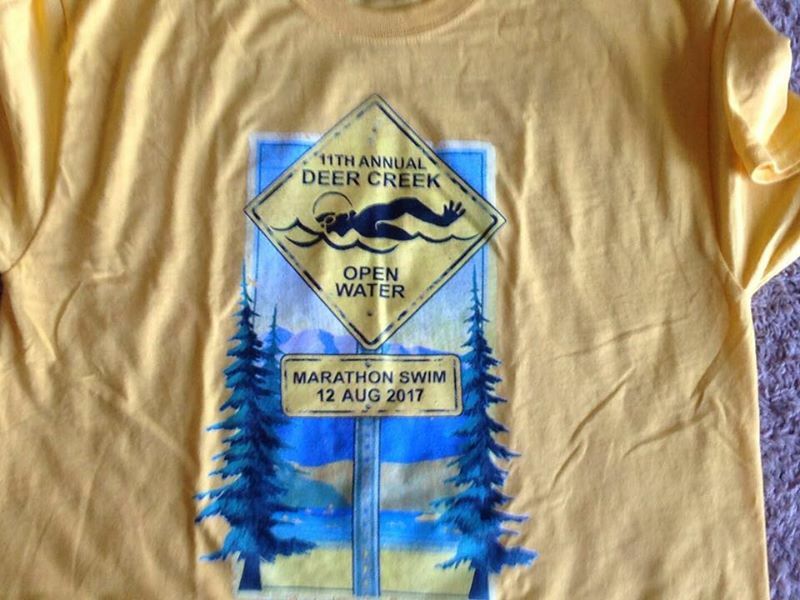 So I finally have an open water swim in 2017 to report. 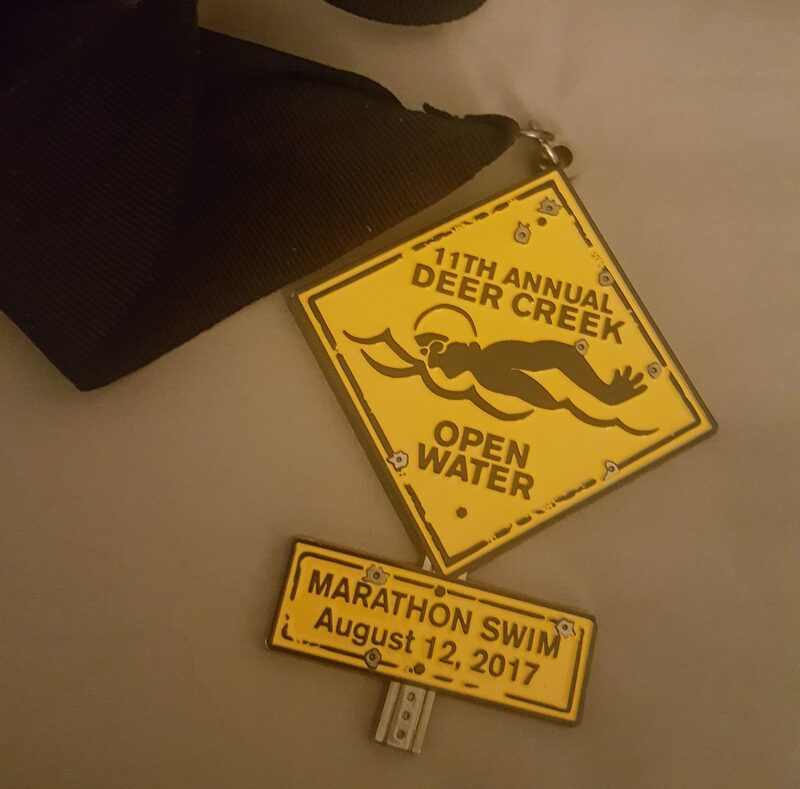 It’s very sad but I haven’t been in the water much this year for a variety of reasons and I seriously considered whether I should do the Deer Creek swim at all. I know I had under-trained, which of course made me nervous. But as the days came closer I found I couldn’t give the tradition up and had to give it a go! It all started early in the morning (6 am wake up call for me!) where I met up with my friend Jacqueline who was kind enough to volunteer to kayak for me. She is a very busy lady with her new restaurant business under-way so I was very touched she would give up her morning to help me. 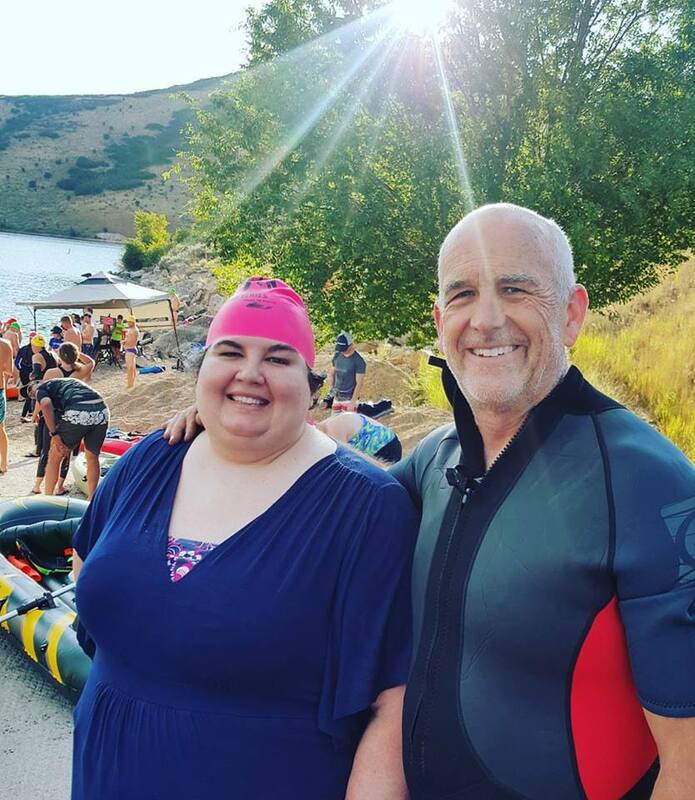 One of the best things about the Deer Creek Swim is they require each swimmer to have a paddler. It gives you a personal cheering section. Plus, you have someone to hold water bottles and things like that. My Dad also entered the race this year and he did a great job. This picture is one of my favorites of the two of us. There were some struggles with the race. 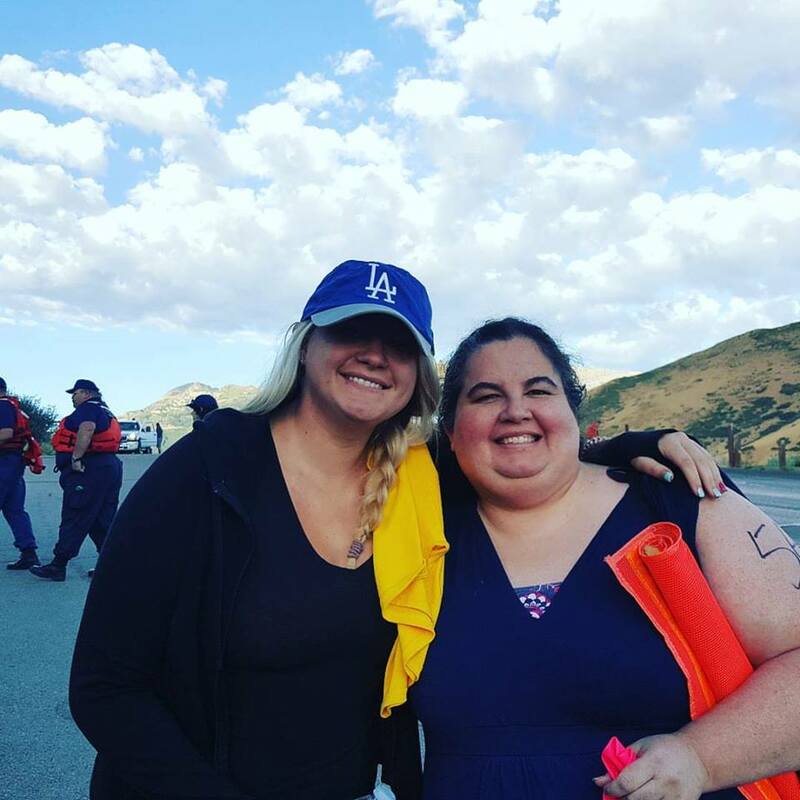 I was kind of annoyed because I couldn’t find my athletic swimsuit so I had to wear my cupped suit which isn’t as comfortable. I also had struggles with my cap and so my hair got in my face a lot. I knew I would be slow but honestly when I was in the water I felt like I was making a pretty good pace. I had to do a lot of breaststroke because I kept getting water in my nose doing freestyle. This made me go slower but I tried my best to rarely completely stop. The first half mile was pretty slow and I think it took me almost an hour (yikes!) but then I picked it up for the second half and felt like I had a really strong second half mile. My time checking in was very slow but at least I finished! My training wasn’t where it needed to be to get a faster time so I’m proud that I saw it through and crossed that finish line. I am so grateful for the encouragement of my Dad, Jacqueline and all my swim friends. It has become a bit of a tradition at Deer Creek for everyone to cheer me on at the end (I’m always last!) and it is a very touching experience to know everyone is rooting for you. So another race is in the books. That’s my 12th official race finish! It’s hard to believe I have been swimming open water that long. I hope for next year to be in better shape so the experience isn’t as taxing and my time is better but as for now I’m proud of myself. 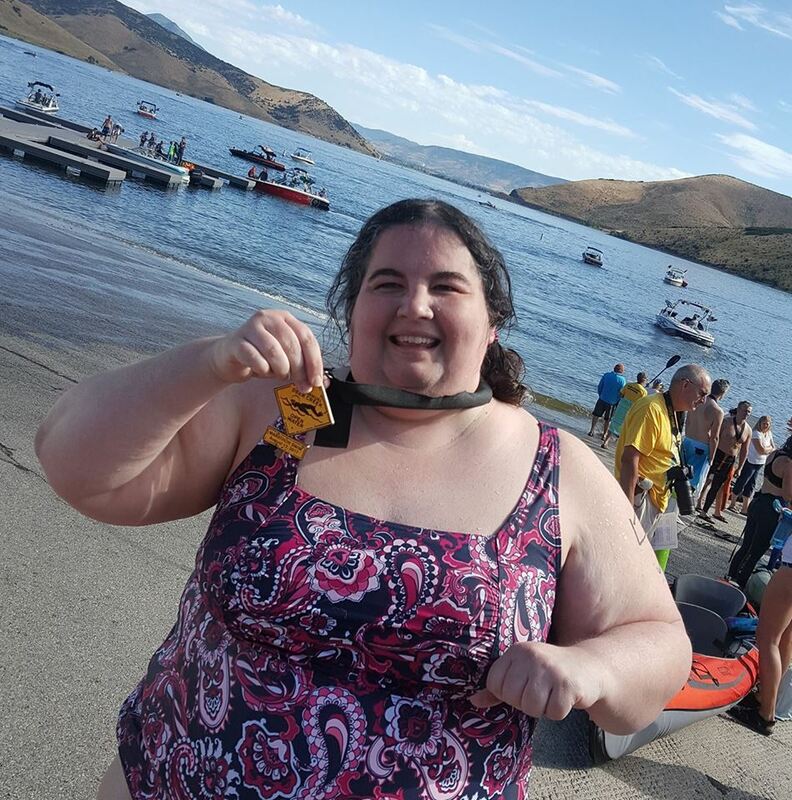 I did something hard and finished the race!